Like most of Ezra Zion's stuff, they play the details on these limited releases close-to-the-vest. 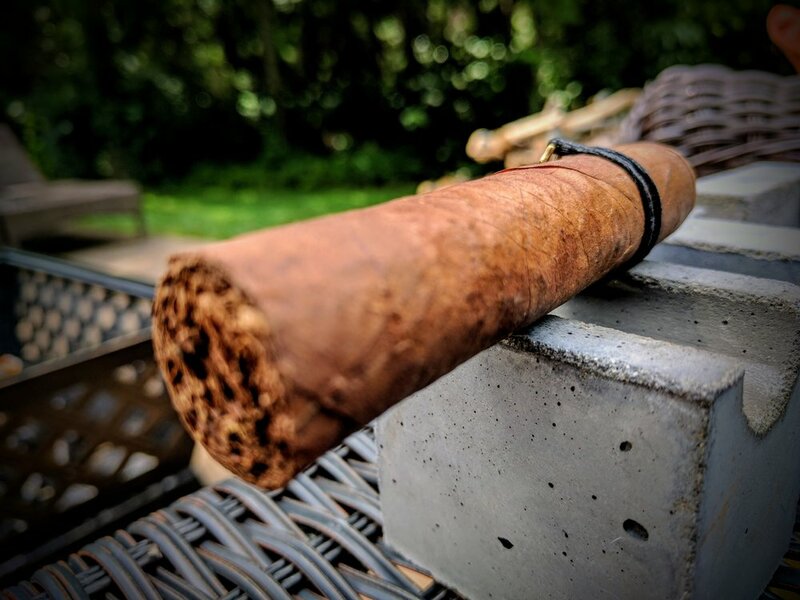 There is very little info out there about the cigar. Ezra Zion released a few different Brass Knuckles. These are the originals which were folowed by Brass Knuckle XLs and lastly by the Brass Knuckle Maduros. Kyle also vaguely hinted that there may be more Brass Knuckles one-offs down the line – but didn’t expand on that idea at all. 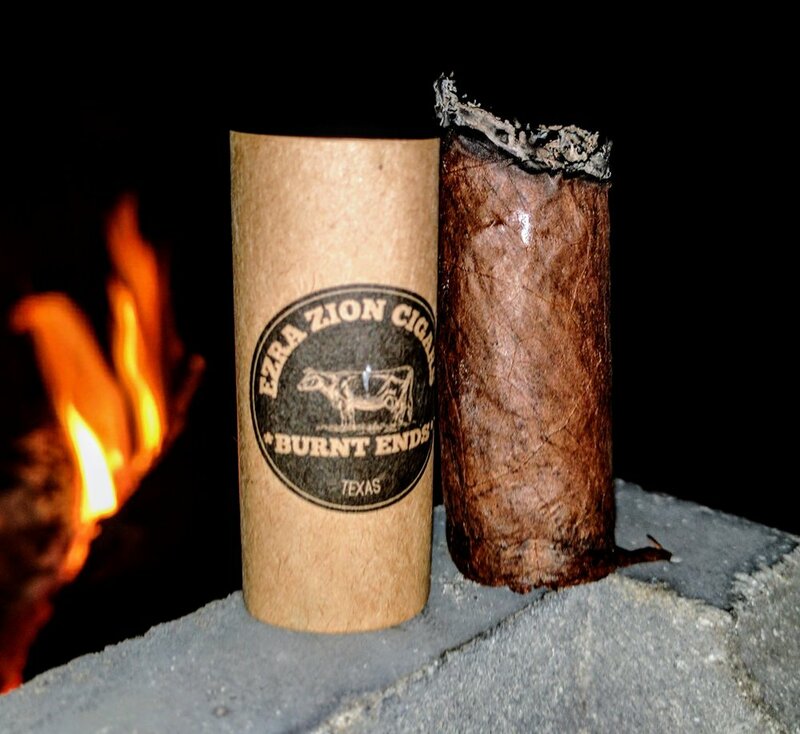 Ezra Zion just seems to know how to skirt that fine line between tacky and awesome. It would be simple to knock the miniature brass knuckle band for being gaudy and unnecessary – but – like the cigars they make, they spared no detail on the band. The metal is solid and dense making it impossible to call cheap. The black string holding it in place looks rustic and tactical – no just some random string found around the shop. There’s careful attention to detail and that makes the difference. This is a beautiful looking cigar. The corojo wrapper is a great dark, oily, horsehide brown with bits of dark brown and black blended in. The construction is great at the cursory level but after a little inspection I did notice an area where the seam wasn’t quite sealed completely and as a result, it’s a bit raised. I should be able to smoke through it no problem though. The triple cap is well done and the transition to the body is barely detectable. The foot shows off a nice, densely packed stick. It’s a little misshapen – more of an oval than a circle, however there is nothing else of concern. 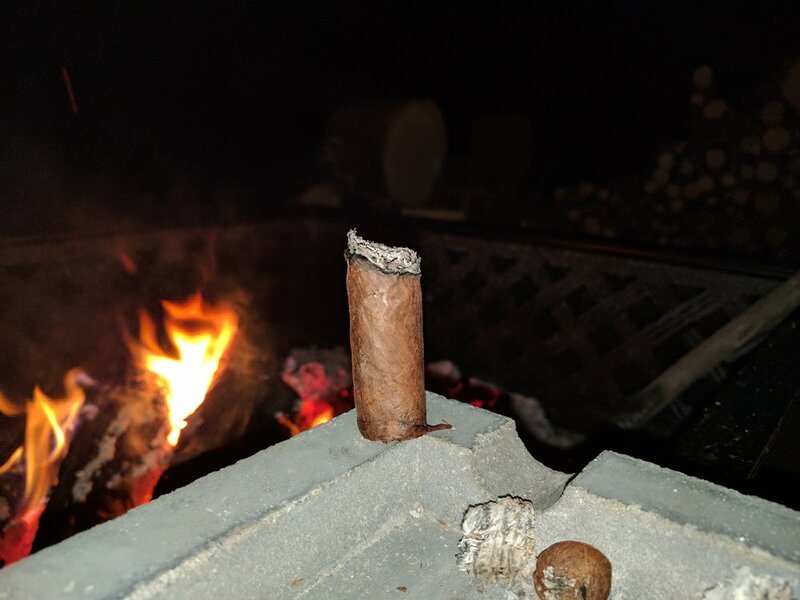 Second stick notes – construction was flawless no wrapper/seam issue - as were the other sticks in my winedor. I get a lot of raisin off the foot – with just a little hay and tobacco. 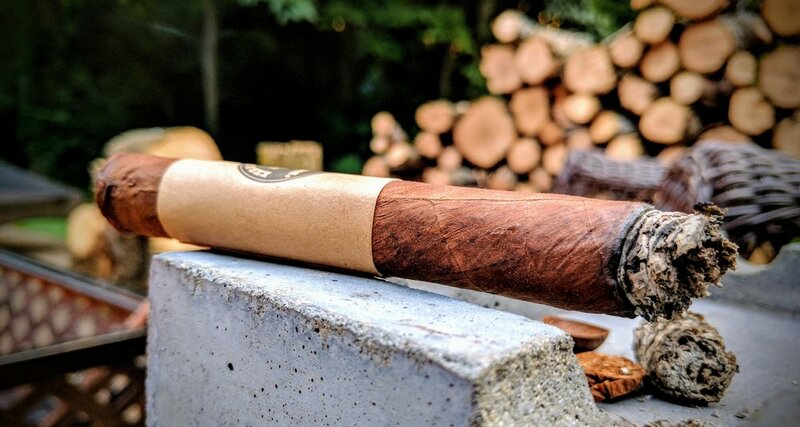 A light inspection reinforces the notion that this is a well-rolled and meticulously crafted cigar. There were no soft spots, bumps, etc and the cigar had a nice firmness to it. Raisin, cocoa and rich tobacco are all noticeable on the cold draw. Use my Xikar XO to clip the cap off and fire the stogie up with my trusty ST Dupont. There is an immediate bitterness to the cigar I was not expected at all. The ash is a gorgeous white but the burn line looks a little concerning from the get go. The draw is a little loose in my opinion, but better than the alternative I suppose. Once the bitterness fades a bit, there is a creamy, slightly sweetness that takes its place. A decent amount of spice remains on the tongue. Brass Knuckles brings the smoke. While puffing it spits out voluminous white clouds and there is a steady trail of smoke to be seen while it’s resting. Moving through the first third, the flavors continue to be subdued. There is not an immediate, in-your-face, clear cut flavor that pops forward. From the cold draw and foot, I would have thought raisin would dominate this cigar, but so far it’s primarily light cocoa/chocolate, cream and maybe a little sweet tang, like barbecue sauce. The second half progresses the cocoa/milk chocolate flavors and brings in a toasted caramel – kinda like the burnt parts of a crème brulee crust. There is an underlying spice, but not spicy, to everything. It’s more of a black licorice/anise flavor that rests on the tongue in between each puff – very light, but definitely present. The burn line had corrected itself fairly well but as I hit the second third, it has become a little chaotic again. Wow, about midway through the cigar and the spice really kicks up. The light anise on the tongue has moved to the forefront and the flavor is really comparable to a hot sauce/honey mixture – it’s really pretty delicious. Ok. There is some serious heat to this stick. It’s basically fresh jalapeno – but still retains that barely present sweetness. 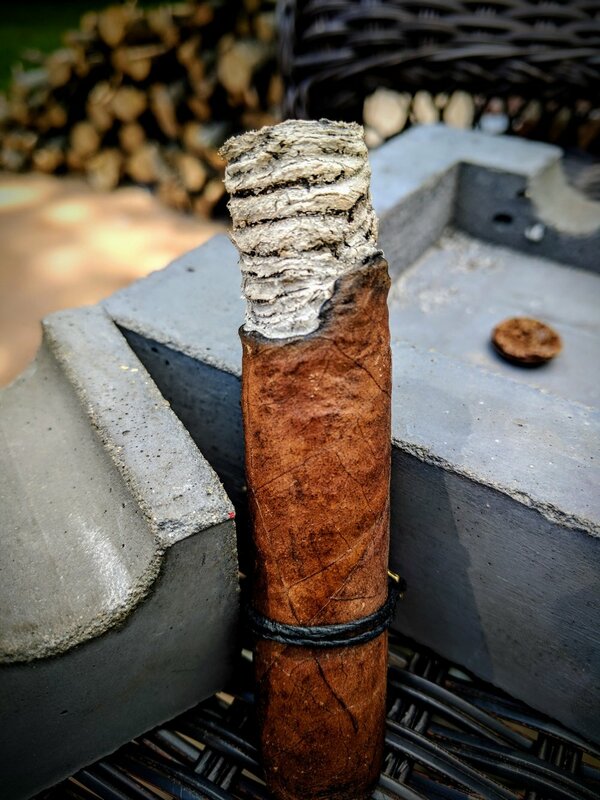 The burn continues to be manageable with some attentive resting – basically I’m being sure to rest the uneven side up, allowing the heat to rise and hopefully help correct the cigar. It’s worth noting that the draw, while still fairly open, has closed up enough to offer a little resistance, which I find nice. It remains a little too loose for my taste but, like I said above, it’s better than the alternative. About midway through the third and it inexplicably extinguishes itself – relight time. The spice is dying just a little bit and it seems to be transitioning back to the sweeter side of things. This is still a bit like eating a caramel-covered fresh jalapeno. 3.0 / 5 PUNCH TO THE PALATE. 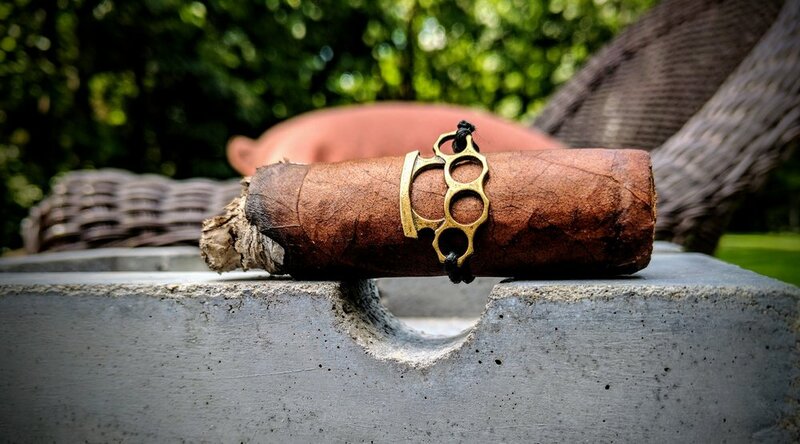 Brass Knuckles is aptly named if it is regard to the punch of spice this stogie brings. The mellow, sweet start is quickly overshadowed by the intense heat that persists for the remainder of the stick. While the construction overall was great, the burn line did present some minor difficulties and towards the back half I did have to relight frequently. To me, this is a solid selection if you love spice bombs (I don’t). I will smoke one again this month just to confirm these results – but all in all – I’m glad I bought a fiver and not a 20-pack. Click around for all the pictures from the review below! 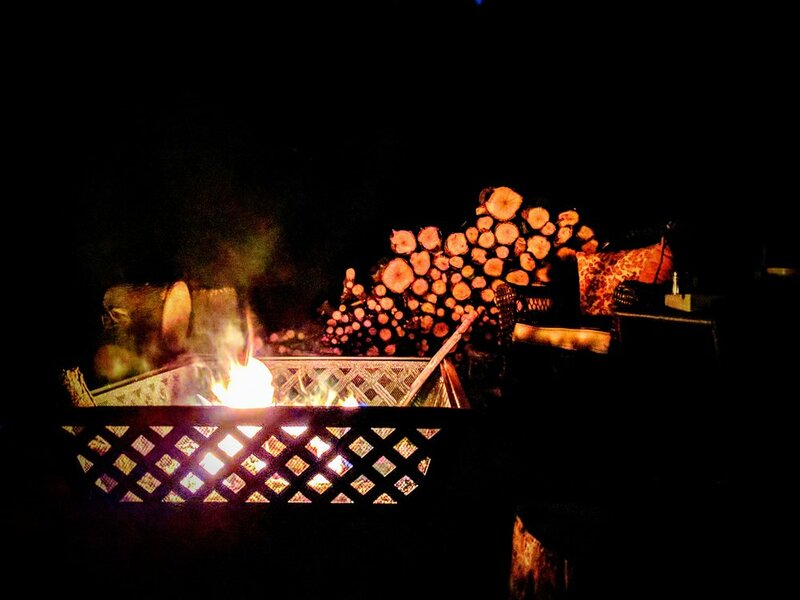 Cool fall night, no precipitation - mid 50s. Supposedly, this is the first all maduro cigar ever created - in the history of the world! Or at least that's what Camacho is proclaiming. It took a pain-staking 84 attempts to get the perfect all maduro blend! 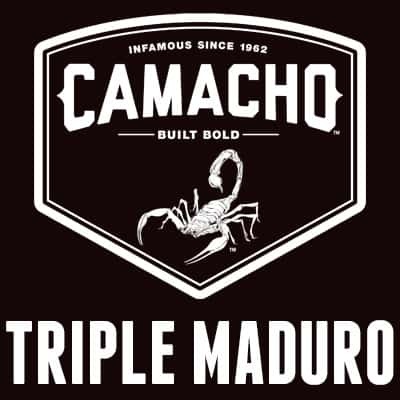 I love Camacho's new "in-your-face" look - but - there is something to be said for the thinner band that just slides or falls off the cigar once you burn it down far enough. 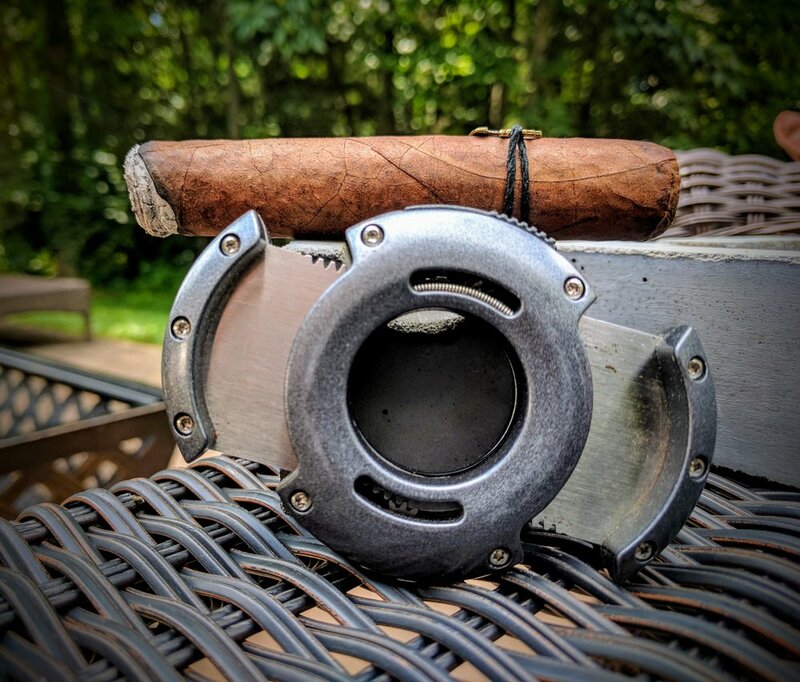 The new Camacho bands are so long that it does take a little work to remove - which to me is not the best experience after such a good smoke. The cigar appears very well crafted. It's tightly rolled with an excellent torpedo style cap. The foot had a few 'chunks' in it that left a little to be desired and the wrapper is smooth with very few visible veins. 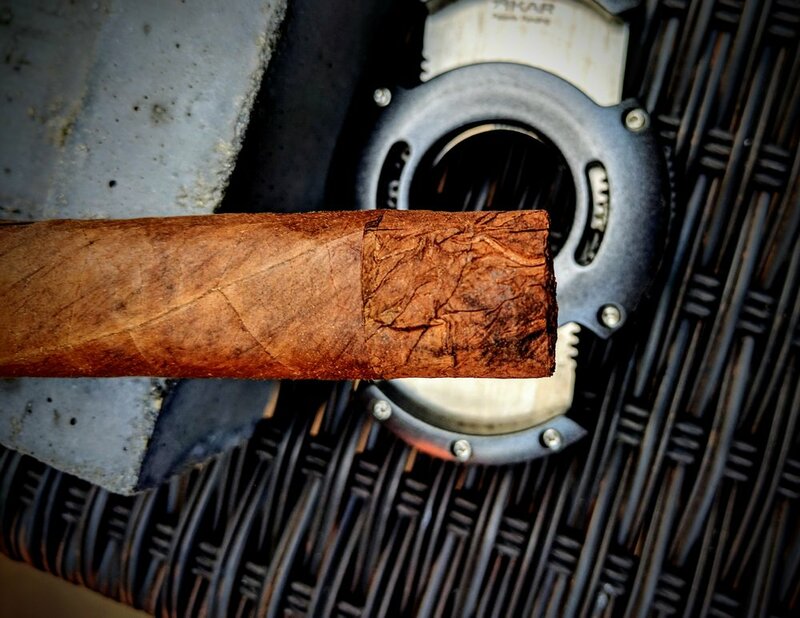 The foot is interesting in that it really shows the cigar's layers through the color variation of dark brown to basically black. Hard to distinguish - but the dominant aroma is tobacco and raisin. Firm with some moderate give. Prelight draw offers a heavy dose of raisin flavor. The raisin notes are almost overwhelming and it overpowers any other flavors that may have been present. I used a single flame butane torch to light the Triple Maduro. The initial draws were quite bitter, almost like really dark chocolate or cocoa powder. The draw was effortless but maybe a little tight. Not overly voluminous. The smoke is pure white and felt appropriate. 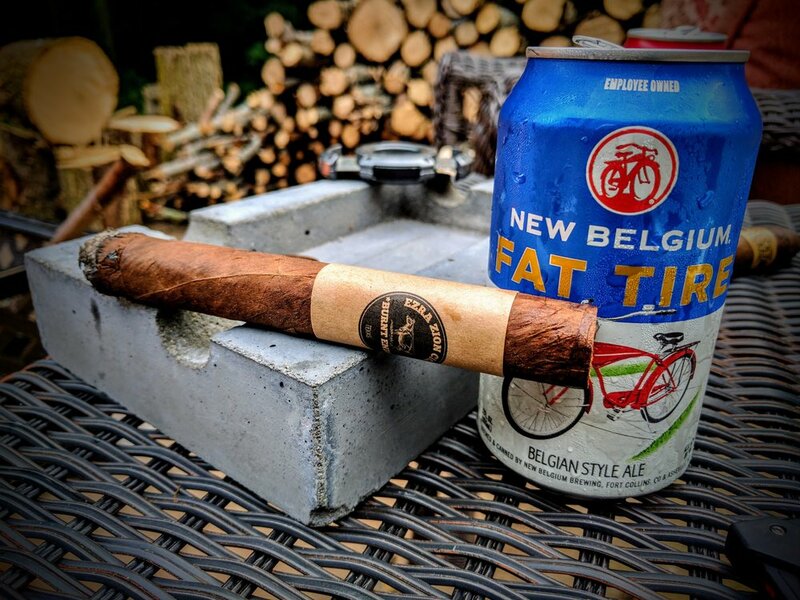 I suppose for what a beefy looking stick this is and how it's branded, I expected more of a Drew Estate level of smoke - but all-in-all - not a major draw back. 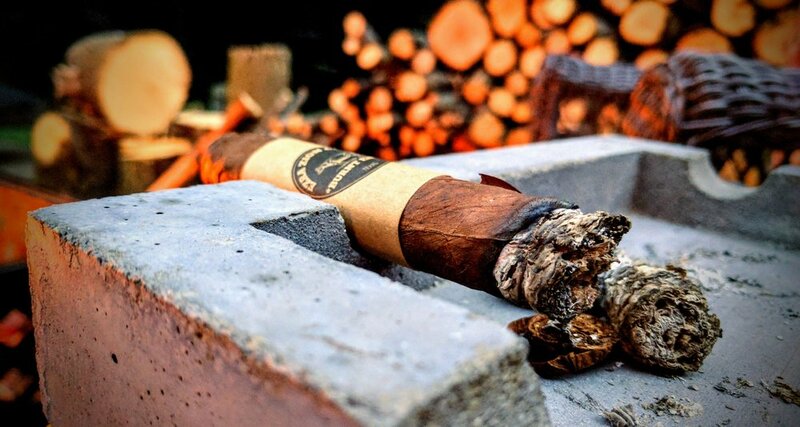 The cigar almost immediately mellows out from the bitter start - however it retains some of the bitter cacao notes, but not nearly the extent at light-up. Also retained is the raisiny goodness but it has also started to develop much more of a smooth chocolate touch. The raisin taste prevails with maybe just a hint of something spicy, like cinnamon. Everything is unified with a definite creaminess. As it burns down a little the draw really opens up to be just about perfect. Burn line is perfect with only very slight variations. The general flavor notes of raisin and slightly bitter chocolate still prevail, but now a slight espresso taste is present - all still backed with a vanilla, creamy goodness that helps bring the flavors together. Smoke output has increased to a white, billowy cloud. Ashed out right at the start of the second third. 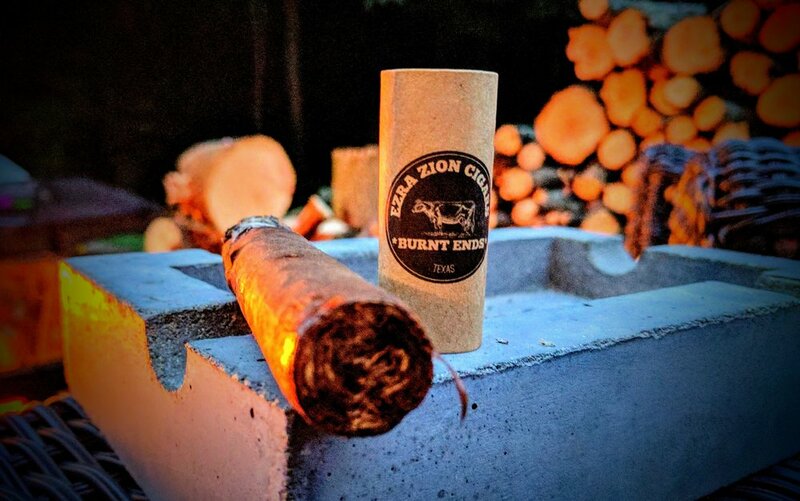 Certainly some more earthy, nut-driven flavors come up as the cigar builds - nothing I can quite place specifically, just an overall feel. I had to relight as I got into the bottom third - but damn if the burn line wasn't perfect! The raisin notes have subsided to just creamy, velvet maduro - a nice sweetness with some chocolate. Looks like the 85th blend is a hit! 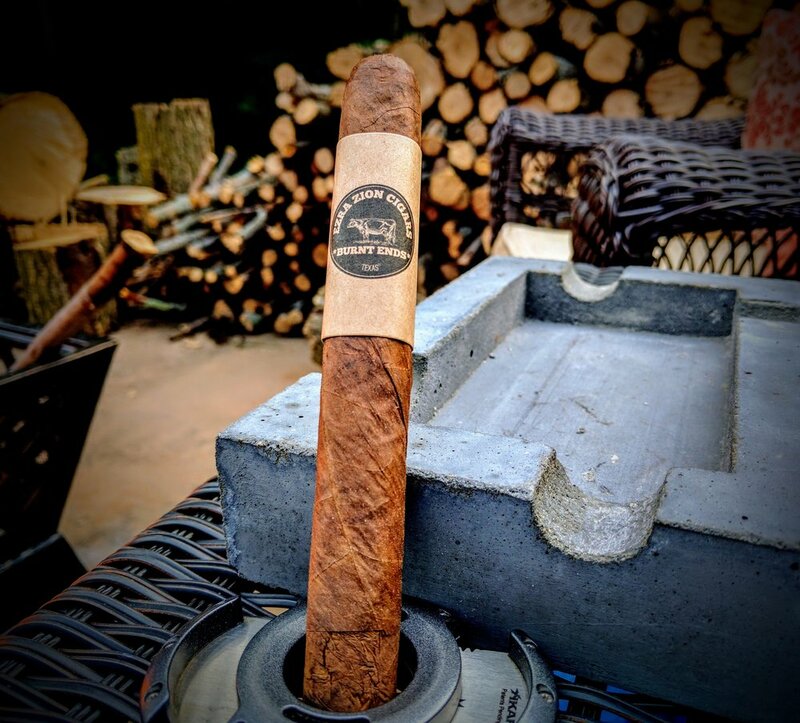 Overall a very enjoyable experience when you're in the mood for a full-bodied maduro that's very much leaning toward the sweeter side of things. 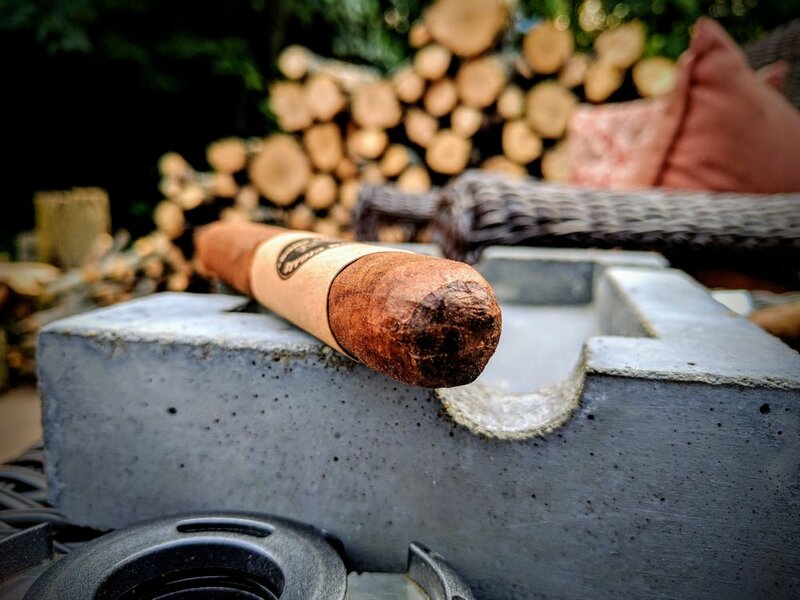 Very well crafted with no burn issues - it's a great after-dinner stick that could easily get paired with some ice cream and a coffee and/or Kahlua. Agree? Disagree? 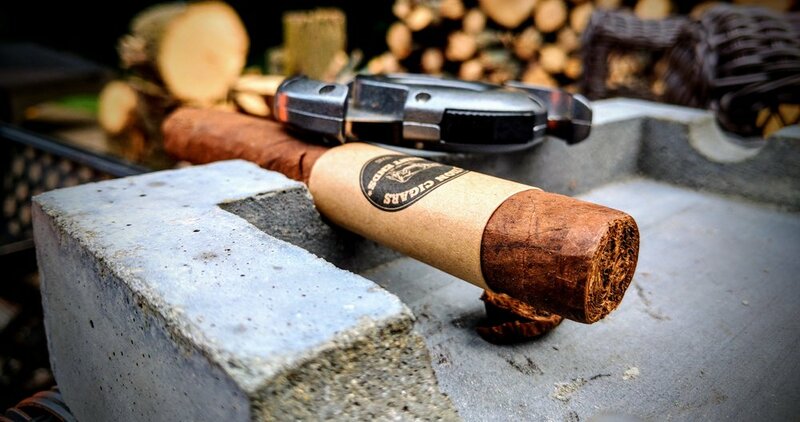 How do you rate the stogie? 2 - Alright, I'd smoke another if it was free. 3 - Yep, not bad. I'd smoke another one. 4 - Damn, pretty freaking good! 5 - Shame I only have 2 kidneys; I'd sell 3 for another!